Torrente has now moved to Marbella, where, after being wiped out of the money he had gained, has returned to private investigation. But in one of his cases he gets involved in the middle of a villain's missile plot to destroy the city and his own uncle's blackmail operation... and he knows nothing. The rude, lewd and crude Spanish ex-police officer Torrente finds himself facing jail time. Can he survive a twisted irony that places him where he has put so many others, both guilty and innocent? AC/DC loving duo chase love and run from the police. Two losers believe they have found the lost national gold reserve of the Spanish Republic, thought to have been sent to the USSR. José Luis Torrente: I got to the Costa del Sol about 3 years ago. I had some cash set aside, and after dedicating my life to law enforcement, I moved to Marbella to take some time off for myself. Featuring politically incorrect private detective Torrente (Santiago Segura) , he is a lazy, rude , despicable drunkard , caring only about protecting and serving himself . Despite that, he still manages to get the job done . Torrente follows the exploits of Jose Luis Torrente, a Bad Santa of the police force . This time he is moved to Marbella, where , after being wiped out of the money he had gained , has returned to private investigation . As usual , being helped by Cuco (Gabino Diego) , both of whom attempt to detain the local Mafia . Meanwhile , Torrente falls in love for a beautiful singer (Ines Sastre) but is utterly rejected . In one of his cases he discovers the illegalities and irregularities of a powerful magnate (Jose Luis Moreno) and gets involved in the middle of a nasty's missile plot to destroy the city and his own uncle's blackmail operation . This is 2º installment in Torrente series . These films are made to entertain , and this movie , especially for a good time and a nice entertainment . "Torrente 2" is a passable and unapologetic dark comedy with great special effects , it has several funny and hilarious scenes and quite successful action scenes with persecution , car chases and many other things . The picture contains thrills , nosy action , tongue-in-cheek , profanities , grotesque situations and above all , humor . 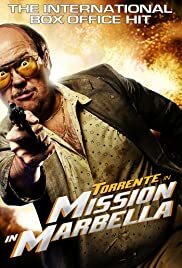 Torrente 2 is written, directed, produced and stars Segura, whose production house Amiguetes Entertainment produced the film , UIP holds Spanish distribution rights . The screenplay is absurd as well as crazy , just what makes laugh a lot , that the character "Torrente" very slutty , clumsy , sexist , extreme-right-wing , on a real person is despicable , being not adequate , but this is a film that satirizes all this and that just means it's a pathetic character , though he also has his charms . 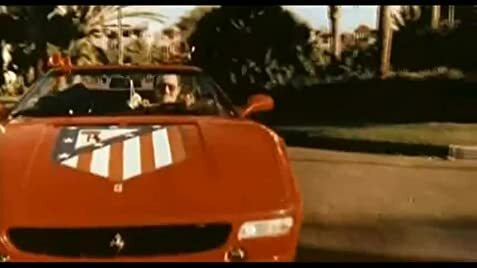 Torrente 2 grossed more than 22 million in 2001 and the first Torrente, which set box office records in its day, took $707,000 . The film contains many cameos of famous people, familiar faces such as Tony Leblanc , Juanito Navarro , Joe Luis Lopez Vazquez , Paloma Cela , Santi Millan , Jose Mota , Pablo Carbonel ,among others . This film will not disappoint Santiago Segura fans.